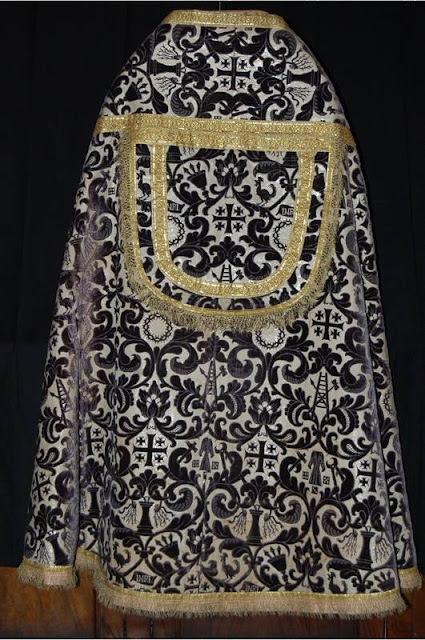 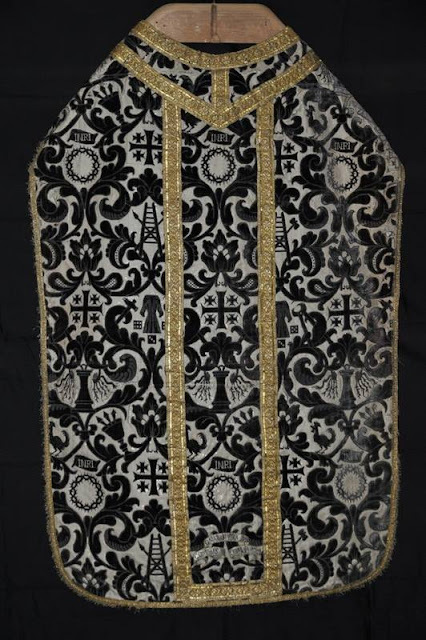 For the jubilee year of 1600, Milan sent the Holy Sepulchre a complete set for solemn Lenten masses, including two folded chasubles. 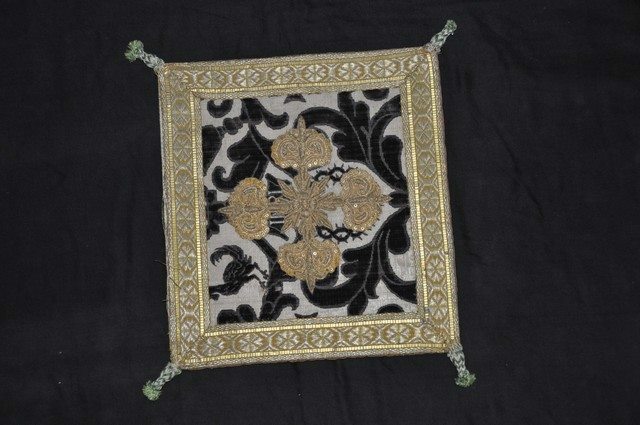 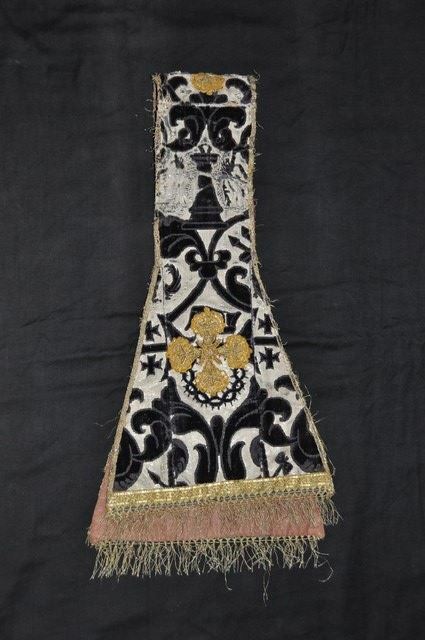 Made of very deep indigo cut velvet, silk, silver-gilt thread, and gold braid, in the spaces between the acanthus are the 14 symbols of the Passion, the Arma Christi (Christ’s arms). The Jerusalem Cross is featured throughout. 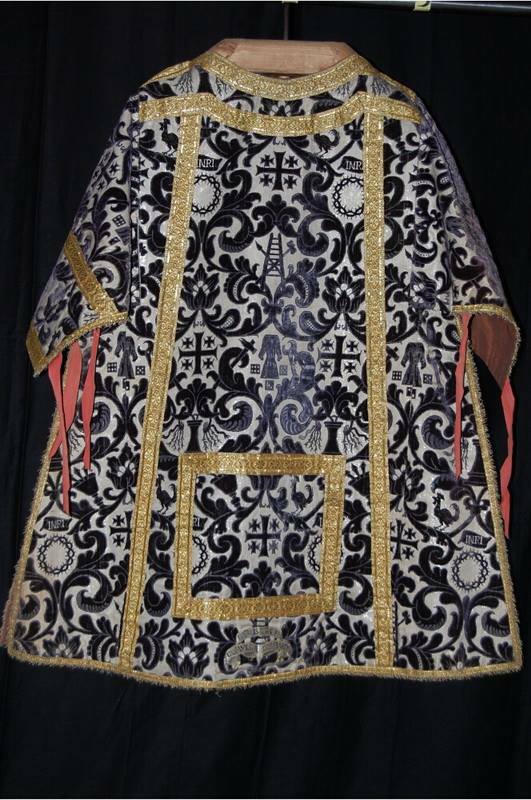 Here's a look at some of the pieces.